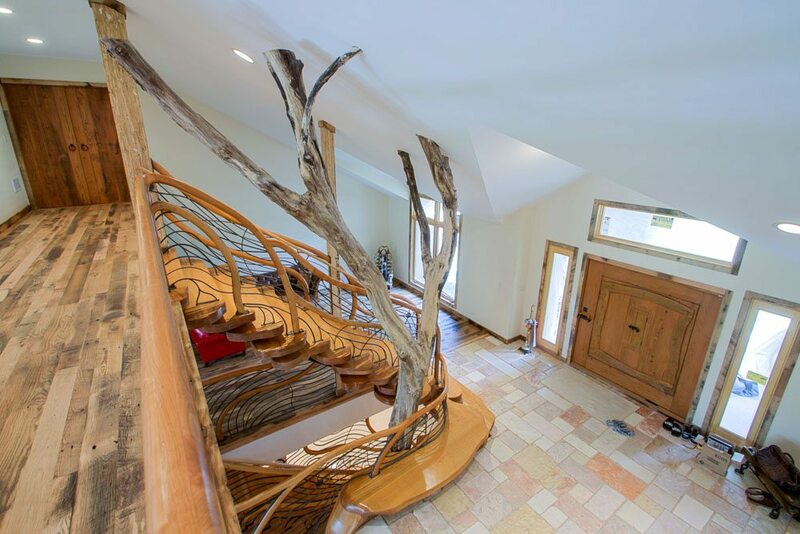 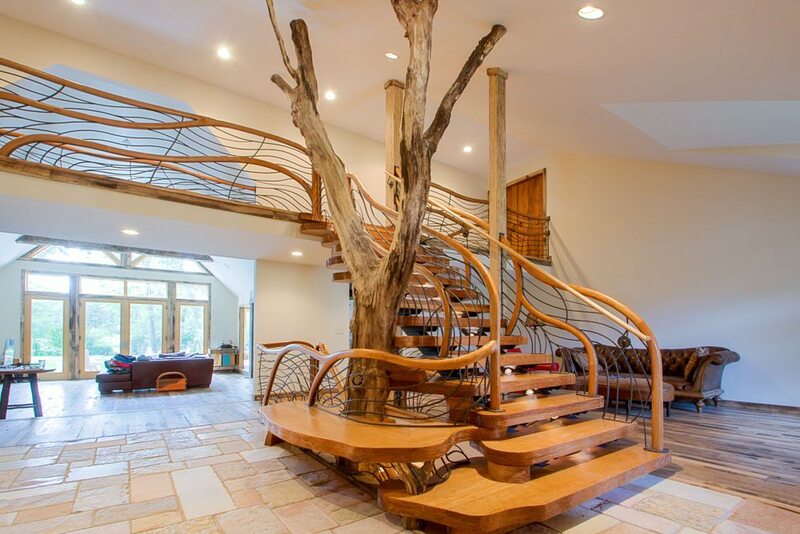 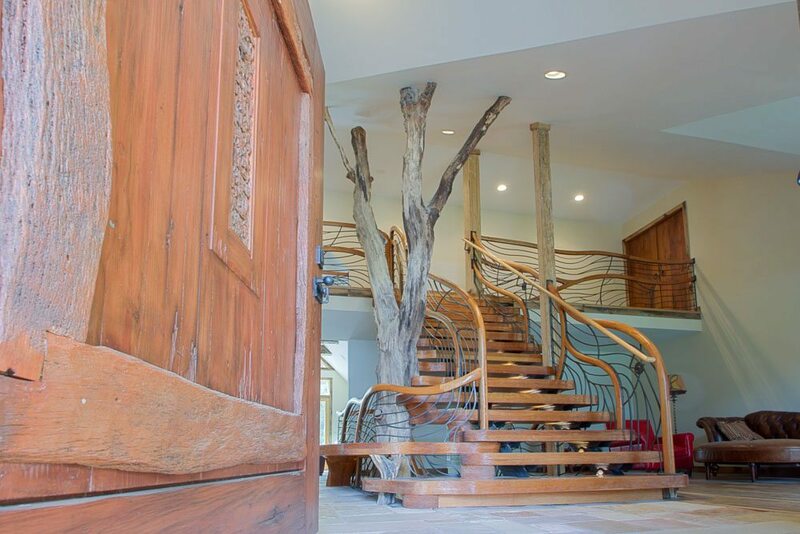 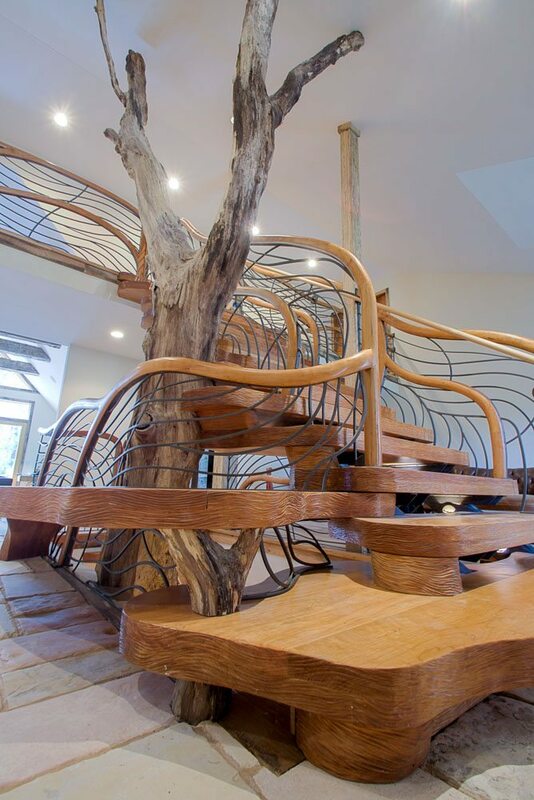 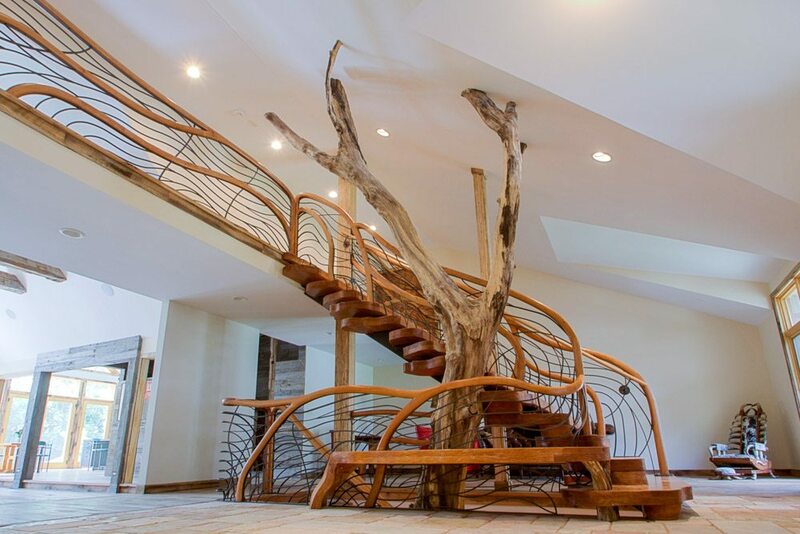 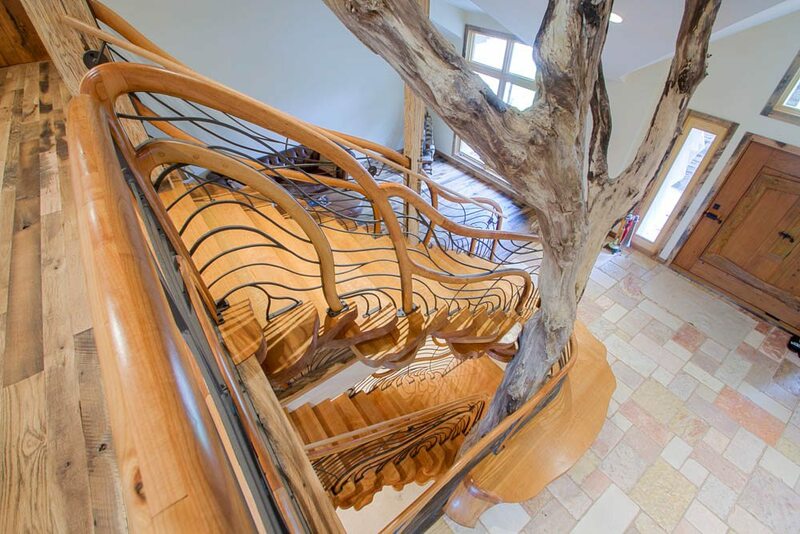 The Tree House Stair was a collaborative project that brought together the interdisciplinary talents of architects, builders, contractors, and the home owner to create the finished product: a functional sculpture integrated into the architecture of the home. 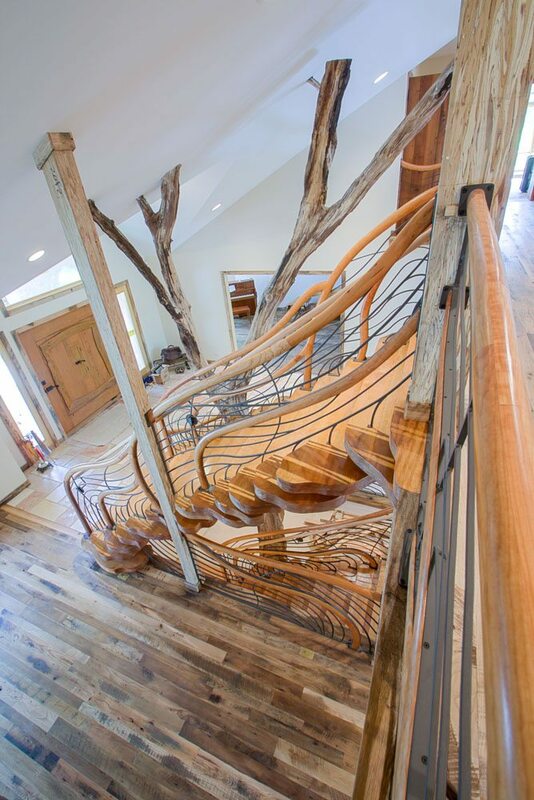 Each piece of wood and metal was fabricated and installed by hand. 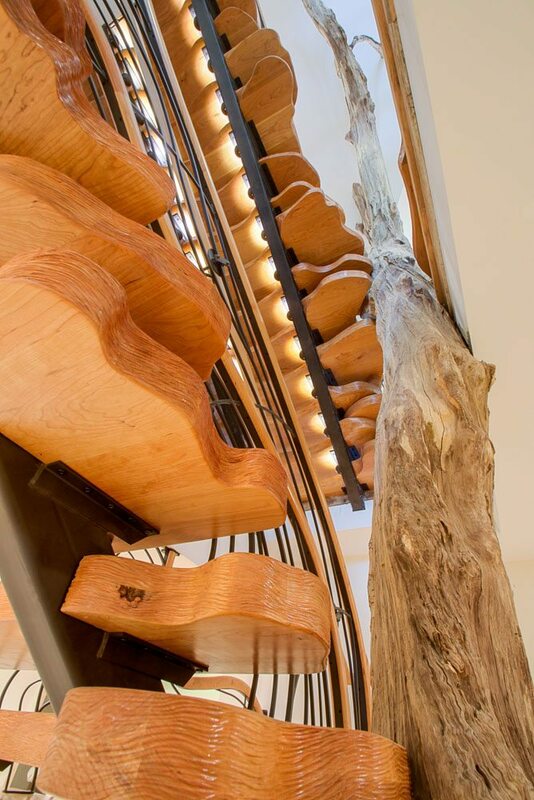 For this project, Aaron Laux Design collaborated with WholeTrees to source and harvest an impressively branched decorative black locust tree from woodlands local to the job site to serve as the centerpiece to the installation.